Right now, you probably unlock each of your devices by typing in a password or passcode. However, imagine how much more quickly you could start using a device if, the moment you looked at it, it immediately unlocked. That’s what Windows Hello allows, thanks to two alternative but similar technologies: iris-scanning and facial recognition. Iris-scanning is featured in the Lumia 950 and Lumia 950 XL phones. Using the phone’s front camera, a light-emitting diode and a light-receiving sensor, this technology lights up the eye to allow the iris to be scanned. This iris-scanning even, you’ll doubtless be delighted to know, works with glasses, clear contact lenses and non-mirrored sunglasses. Microsoft has provided this useful video tutorial for setting up the iris-scanning aspect of Windows Hello on a Windows 10 Mobile phone. There’s also information here about how you can help Windows Hello to recognise you when you’re wearing glasses. As iris scanners are small and need to be close to your eyes to scan, they are well-suited to mobile phones. However, you’d look a bit silly if, when logging into a computer or tablet at work or in a café, you were always holding the device close to your face. 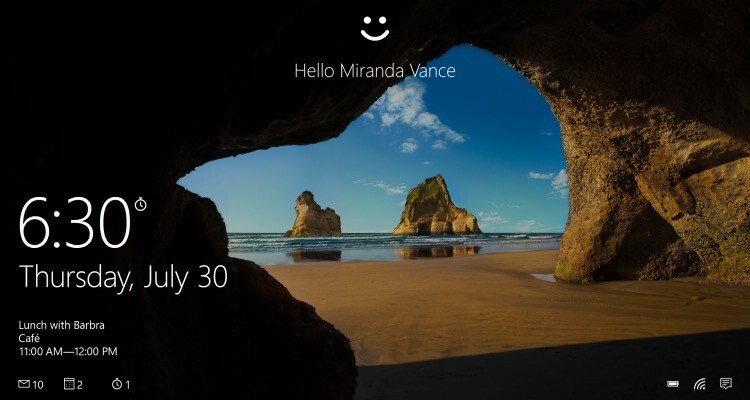 Thankfully, when using a Windows 10 computer or tablet with the necessary hardware, like the Surface Book or Surface Pro 4, you can still use Windows Hello using the more convenient – in this instance – technology of facial recognition. 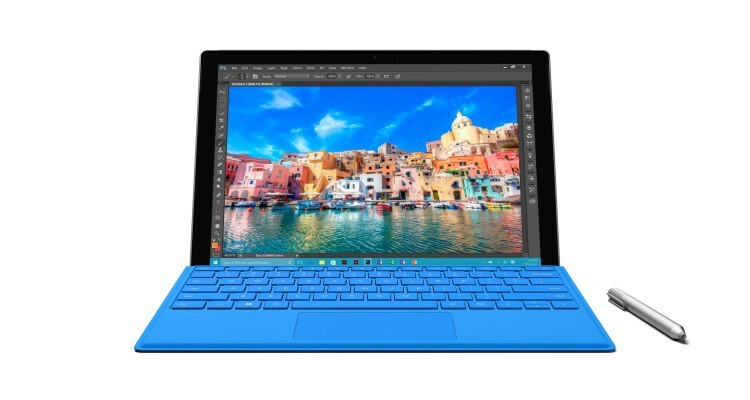 This works at a range of 0.2-1.2 metres and is easy to set up on a Surface device, as this step-by-step guide from Microsoft attests. Naturally, it’s great that we can now use our – ahem – beautiful eyes to log into phones, computers and tablets more quickly. However, if – as is likely if you’re reading this – you routinely wear spectacles, it would be cumbersome and inconvenient to have to keep taking them off whenever you wanted to unlock your device. Thankfully, Microsoft seems to have taken account of this – as, whether you use iris-scanning or facial recognition, Windows Hello can work even if you scan your eyes or face while you’re bespectacled. But what if you like to often change your eyewear – for example, by swapping your glasses for sunglasses when summer arrives? That doesn’t have to be an issue, either – as, after scanning yourself with a certain set of specs, you can re-scan with a different pair on your head. Re-scanning doesn’t delete earlier scans, but instead simply helps Windows Hello to more easily recognise you. That decreases the likelihood of repeatedly trying and failing to get into your device, only to eventually – after many minutes of frustration – realise that your eyewear is to blame. A great time-saver. How Important is Your PD (Pupillary Distance) When Shopping for Glasses Online?